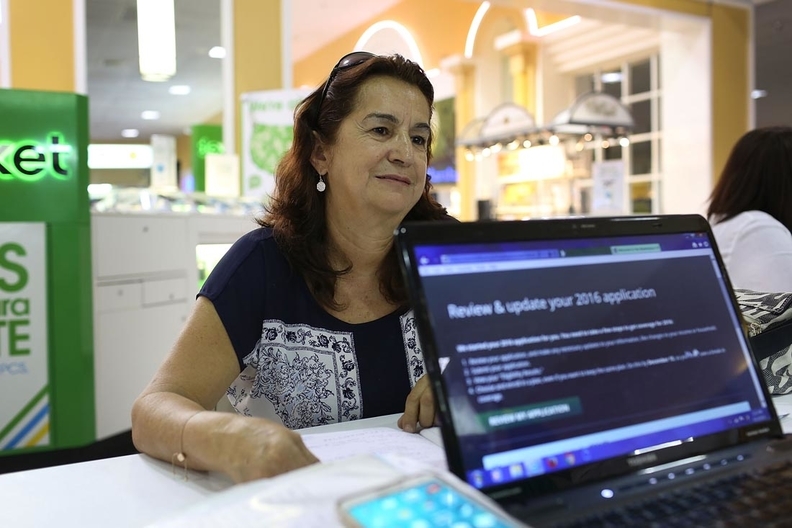 Miami residents enroll in ACA plans at the start of the 2016 open enrollment window, which closes Jan. 31. Insurers that pull out of the Affordable Care Act marketplaces can nudge enrollees to follow them but can't automatically sign them up for off-exchange plans. The CMS issued guidance on the matter (PDF) just days after UnitedHealth Group announced it would exit the exchanges in most states. Industry observers say the timing appears to be related. The CMS states that final notices were issued in 2014 and have been updated since them to incorporate feedback from consumers, insurers and other stakeholders. They assert the timing has nothing to do with UnitedHealth’s recent announcement. It's unlikely many consumers would choose to follow United or any other insurers into a plan outside the marketplace. “This will not have a significant effect on marketplace enrollment because subsidies are available only for purchases on the marketplace,” said insurance lawyer Kevin Fitzgerald, a partner at Foley & Lardner in Milwaukee. Experts say policymakers need to figure out how to entice younger, healthier people to buy coverage and how to make the products more appealing and functional. United's enrollees were sicker than expected, and that might encourage the insurer to cut ties to its exchange customers. The Minnetonka, Minn.-based insurance and health services giant estimated its losses on individual ACA plans will surpass $1 billion for 2015 and 2016. “It's not likely (United) wants to keep that membership and continue losing money,” said David Windley, an analyst at Jefferies & Co. The CMS' new guidance also outlines draft notices for insurers to use when discontinuing or renewing a product in the small group or individual markets. That guidance hasn't been updated since September 2014, Fitzgerald said. The fourth open enrollment, set for Nov. 1 to Jan. 31, is expected to generate a substantial amount of “churn,” a term that refers to people who move back and forth between coverage options. The CMS said that the new guidance affects insurers in and outside of the marketplace and that the agency is trying to ensure that individuals are not automatically enrolled outside of the marketplace in open enrollment periods occurring after 2017. “The CMS is clearly focused on maintaining a smooth transition for members for the upcoming enrollment period,” said James Sung, associate director and insurance credit analyst at Standard & Poor's credit-rating agency. “Smooth transitions will be just as critical, (if not more so) in 2017, because there are several factors that will continue to cause high churn on the exchanges,” he added. UnitedHealth, which expects its exchange membership will be about 650,000 by year-end, reportedly will not sell 2017 exchange plans in 24 of the 34 states where it's participating this year. Cigna and Blue Cross and Blue Shield of North Carolina have also hinted they may withdraw from some marketplaces. Carriers that maintain their commitment to the exchanges may raise premiums and tweak their product portfolios by narrowing networks, which also will cause transition issues, Sung said.